Tracy's best concrete contractor and masonry contractor is just a call away! Call (209) 600-7358 to have us come to your property for a free quote for a residential or a commercial quote. 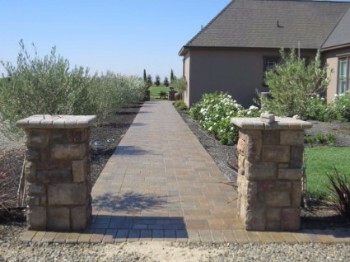 ​We do brick, stone, and concrete work for any type of project, big or small. 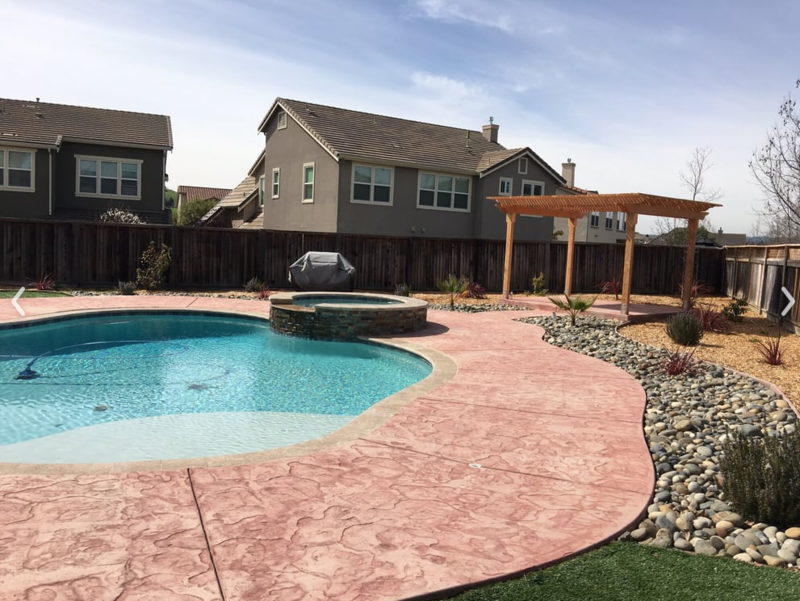 We are the number one contractor in Tracy for driveways, patios, pool decks, pillars, fireplaces, resurfacing, repairs, stamping, and staining. And there is a lot more that we can do for you. Call (209) 600-7358 and you will be put directly in touch with Dan, or our owner Jose, who can schedule you in for a free walkthrough of your property, and an estimate, often in the same day. We do everything you can imagine for your concrete driveways. We pour driveways, do stamping, staining, cutting, grinding, resurfacing, and repair them. Looking to install a nice fireplace in your backyard or on the property of your business. We do stacked stone, brick, and natural stone fireplaces. We construct kitchen countertops and outdoor countertop. Natural stone, granite, and concrete countertops. Stamped concrete is the hottest surface in the construction industry now. 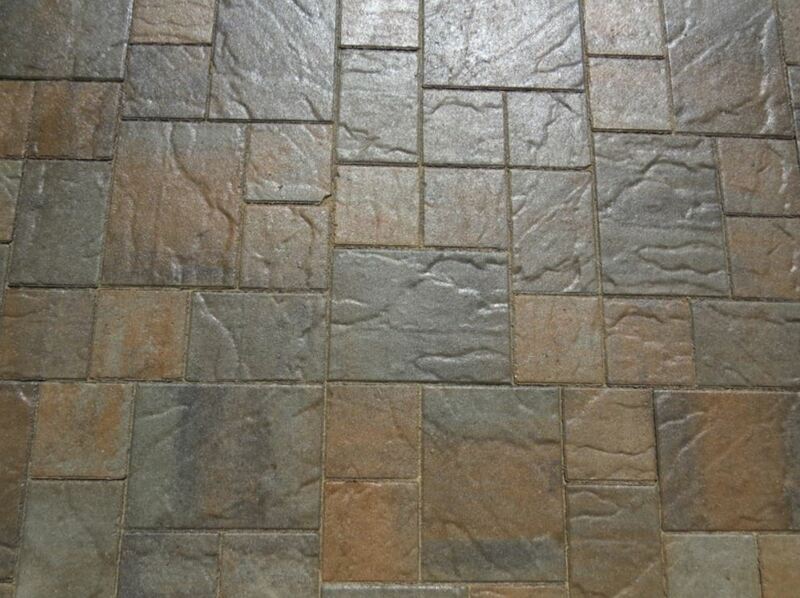 We have many designs to use and can stain stamped concrete. Looking to install a concrete patio in the backyard of your home or for your business? We do all types of patios including both concrete and stone patios. 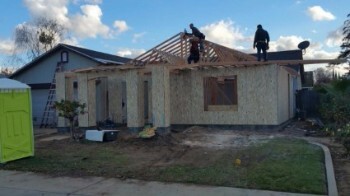 For the construction of a new home, our contractors can take care of many aspects of the building phase. 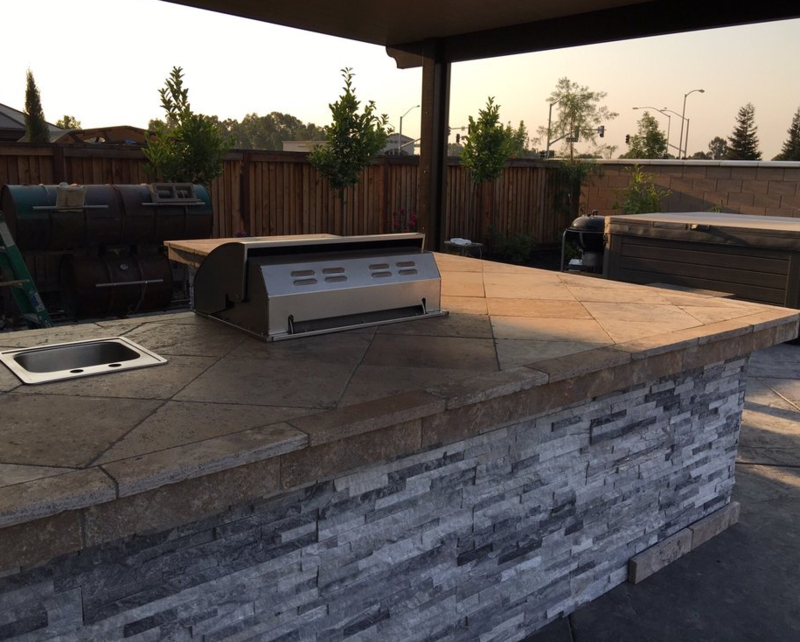 We install barbecue pits into countertops outside. 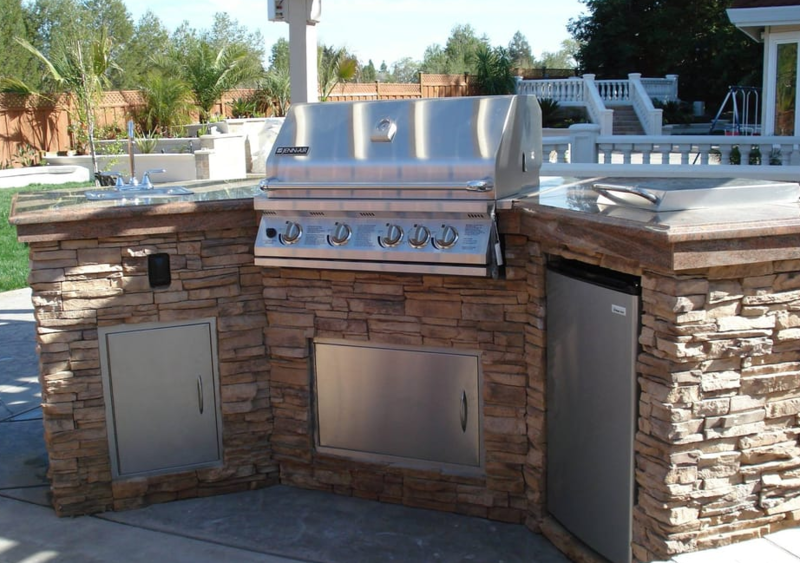 We also build brick and stone barbecue pits. We construct stairs and steps for properties. These stairs are usually made of concrete but can also be made of stone. We provide a lot of services for your pool decks. We do stamping, staining, and resurfacing for them. We also make cool decks (kool decks) for those people who have hot summer surfaces. Need a retaining wall to prevent a hill from continually slipping, particularly during the wet months, we build concrete, brick and stone retaining walls. 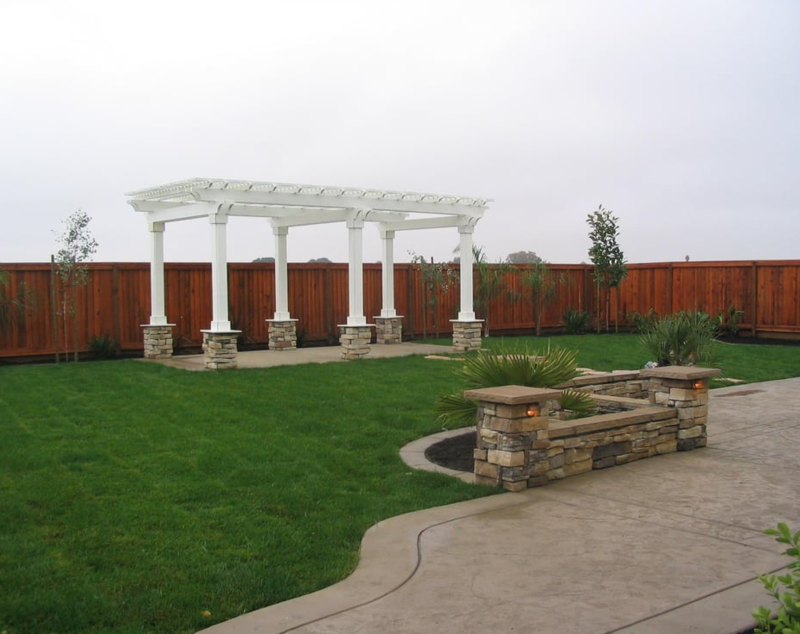 Are you looking to line pathways of your property and patio with pillars. We make stone, brick, and concrete pillars. Driveways, patios, pool decks and other surfaces after many years may need to be resurfaced. We do concrete resurfacing for residential and businesses. When you need concrete, brick, or stone work done on your property, we can help you get the job finished in the best way. At Tracy Concrete, we are dedicated to creating decorative and functional structures that will stand for years and impress our clients. Our company operates out of Tracy, but we also offer service to many of the surrounding cities in Stanislaus, San Joaquin, Merced, Contra Costa, Alameda, Tuolomne, and Calaveras counties. Call if you live in any of the following cities for concrete: Manteca, Lathrop, Livermore, Pleasanton, Tracy, Banta, Brentwood, Discovery Bay, Stockton, French Camp, Modesto, Oakdale, Escalon, San Ramon, Antioch, Patterson, Atwater, Turlock, Merced, Ceres, Galt, Lodi, Hughson, San Ramon, and many other nearby cities. What Do Our Tracy Cement Contractors Do? Contractors are those hired for expert knowledge on a certain topic. We are concrete contractors, which means we have the skills, experience, and knowledge about how to build all types of concrete structures. There are a lot of steps involved in the process, but we know how it should go and what to do to get the best results for your property. Concrete structures are not just part of building construction. There are many functional and decorative pieces that can be made from concrete as well. Driveways, patios, pool decks, benches, walls, and many other types of structures can be erected from concrete. Designs can be stamped into concrete, and colors can be mixed in for a range of styles. Our contractors are there for every step of the process. Mixing the concrete is just as significant a step as pouring and sealing, so we are there to make sure it gets done right. The whole project and the durability of the completed structure depend on having the quality cement on hand. Next, our cement contractor will supervise the creation and assembly of framing. Most concrete structures will have metal rebar inside for support. That rebar must be uniquely shaped for every project in order to properly support each slab in its completed form. The framing is then put into place on your property, under the supervision of the contractor, and the mixed concrete can be poured. Pouring is a step that needs to be done all at once, or else the concrete will dry at different speeds and won’t bond together. For this, the contractor will be present and will be making sure things get done on time to have it poured and spread out in one day. Additional steps are usually optional, depending on the type of project. Once the concrete dries slightly, stamps and other designs can be imprinted into it. After the concrete is fully dried, the work will be inspected by you and the contractor. We will always make sure you’re happy with the results, or else we’ll go back and fix any problems you find! While concrete is our main specialty, we also deal with other types of masonry work, including stonework and bricklaying. These types of work often are found together with concrete projects, making it a similar project as we laid out above. Masonry does not require framing, but it must be sealed together with a concrete-like adhesive mixture called mortar. Additionally, masonry requires skill and precision if you want a well-built structure that’s both attractive and functional. We can do a range of concrete and masonry services for you! Here are some of the highlights of our service to Tracy and many cities nearby. Call (209) 600-7358 to get a free quote from us! Decorative fixtures made from concrete can be a beautiful addition to any home or property. This includes property enhancements like benches or dividing walls, or actual home additions. Many driveways, patios, pool decks, and walkways are often made with colored concrete and stamped concrete. 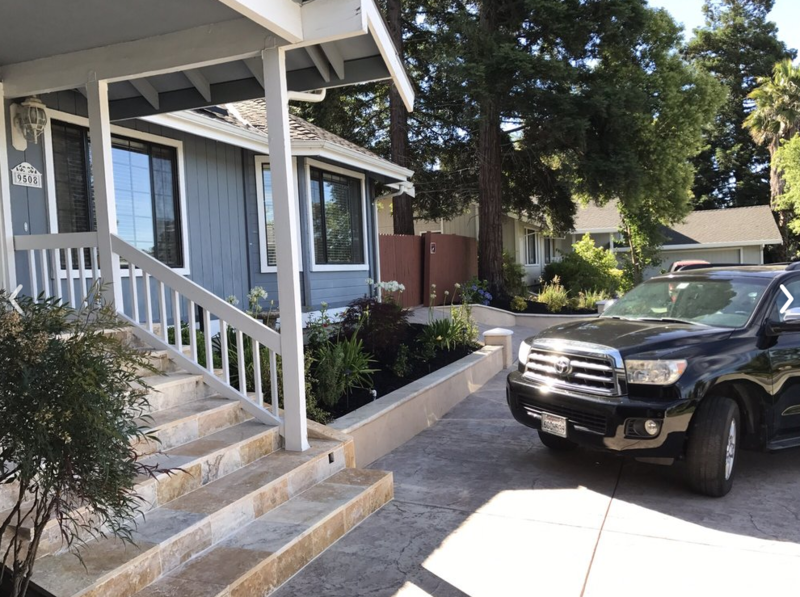 Tracy Concrete has expertise in both of these areas, and can show you examples of our beautiful projects you can draw inspiration from for your own home. Having a pool at your home is a wonderful way to keep the family cooled off in the warm weather, but it also needs to be constantly separated from the yard and other natural elements to stay clean. Pool decks fill in the gap around the edges of your pool and the ground, giving you a beautiful place to enjoy yourself outside of the water, as well as a way to keep dirt and grass out. For above ground pools, a concrete pool deck exists to hold up the pool itself on flat, level ground that won’t erode. We can create gorgeous pool decks that will make you want to spend all your time outside. Our skilled contractors can help you design the ideal decorative deck to complement your pool and your home. Concrete foundations are the base on which fantastic homes and structures are built. We are available for foundation laying for many types of structures, especially homes and residential buildings. This includes smaller structures on your property, such as sheds, barns, garages, gazebos, and more. If you need a paving contractor for walking paths or similar projects, we are ready to take on the job. Cutting or grinding stones and concrete slacks is precise work that can’t be done sloppily. Any sloppy work will result in cracks, chips, and other damage to the stone themselves. You don’t want just anyone doing a job like this for you! Trust the professionals to get it done right. We’re not all about the concrete. Our team has expertise in stonework as well, building both structural stone pieces and ornamental stone fixtures. 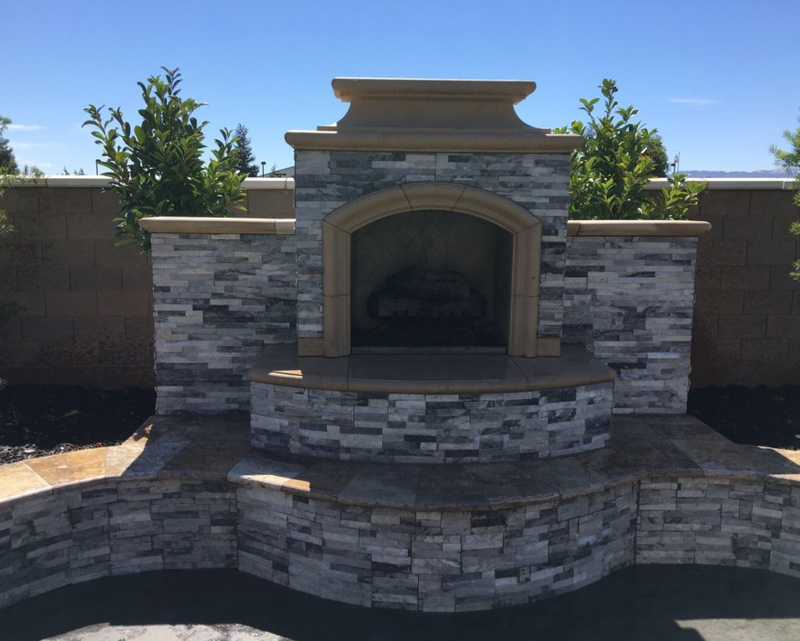 Many residential homeowners enjoy stonework in their yards, creating features like stone benches, fire pits, fireplaces, or outdoor kitchens. We can work with stacked stone and stone veneer as well to achieve the look and feel you want for your property. The number one priority of a retaining wall is safety. 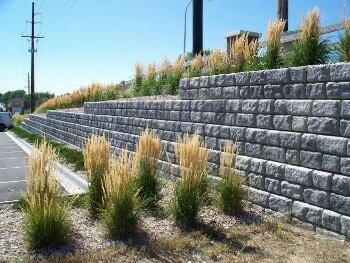 Our retaining walls are made with high quality concrete and built to last. You can choose the exact type of wall based on what you really need on your land and what kind of water, soil, or material will be contained by the wall. Some of the most popular things we create are concrete driveways. You can pick the style you like, and we’ll work to pull it off at your home or business. The hardest part of a driveway is the concrete pouring, which must be consistent and even over a large space. We excel at this area of construction, and will be able to create a fantastic driveway in any home space. For gorgeous, useful patio designs, we are the company you want to work with. You can give us your vision, and we’ll work to show you how it could look. Once you’re satisfied with it, we’ll go ahead and build it on your property. If you’re not the creative type, you can also pick designs from some of our previous projects or choose a standard design we have available. Our concrete patios are suitable for stone veneer and other beautification methods. 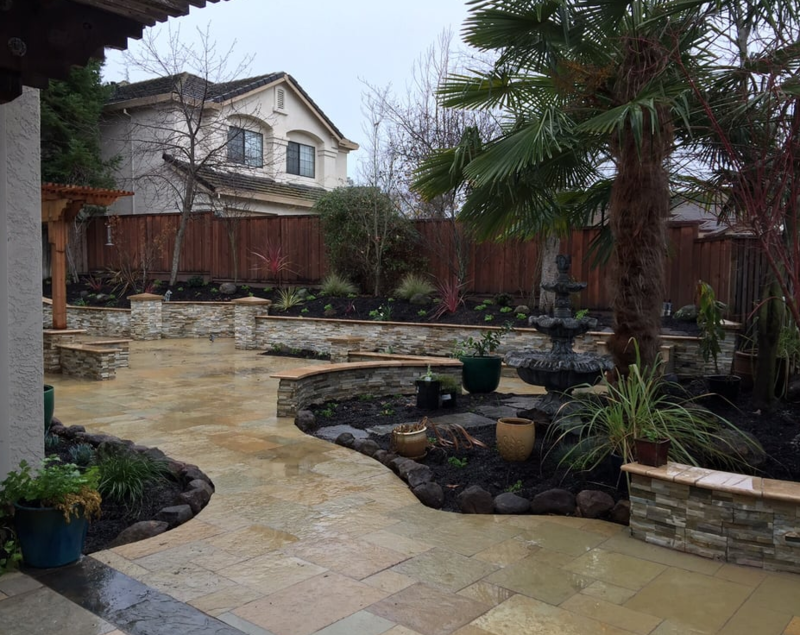 We can mix up colored concrete, stamp intricate designs, or work with a combination of masonry and concrete to form a diverse, interesting patio that’s unique to your home. Part of our service that’s not very glamorous, but is essential to quality work, is making the framing for projects. We can make our own rebar framing, or can help you to source quality framing from another company. Framing must be up to a strict standard for concrete walls, foundations, retaining walls, and other vital construction projects. Why should you hire a concrete contractor instead of doing the work yourself? While it is possible to do masonry and concrete projects on your own, it’s not recommended unless you have a lot of personal experience and knowledgeable people to help you. It can be a difficult and labor-intensive process to lay concrete properly. Larger projects especially can benefit from the knowledge of a cement contractor, and from the skilled team of workers that operate under them. Laying concrete is harder than it looks, and you shouldn’t underestimate the work in front of you if you choose to do it on your own. Tracy Concrete is dedicated to helping you create a beautiful space around you. We won’t impose our ideas onto your vision, but will work with you every step of the way to make sure you end up with the home or business fixture you were imagining. Our job is to make sure you’re happy with the new concrete, stone, or brick fixture around your property. 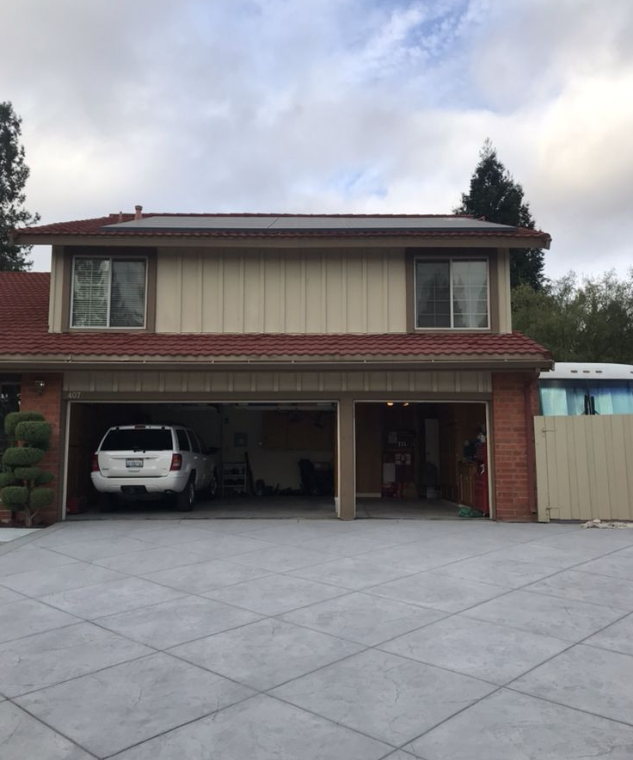 If you’re on the lookout for a concrete contractor in Tracy, California, why not give us a call? We look forward to working with you! ​(209) 600-7358 is our number, or fill out our quote form at the top of the page. This is a referral website and will refer you to the best contractor in town!